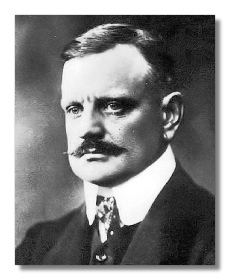 Jean Sibelius (December 8, 1865 - September 20, 1957), very largely created himself as the musical emblem of Finland, even down to the level of his name. Finland, after all, was less a country than an ethnic enclave. Up until the early 19th century, it was first a part of Sweden and then, from 1809, a grand duchy of Russia. 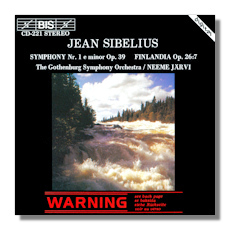 Sibelius himself came from Swedes (family name Sibbe) and was christened Johan Christian Julius. At age 20, he took "Jean" as his "music-name." Sibelius to a great extent taught himself the rudiments of composition. 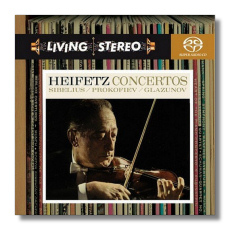 Meant by his family to become a lawyer, he switched to music in his twenties, mainly to become a violin virtuoso, but found himself increasingly drawn to composition. During his final years as a student, Sibelius became friendly with the pianist-composer Ferruccio Busoni, at that time a professor of piano at the Helsinki Music Institute, and, more importantly, the Järnefelt family, important figures in the rise of Finnish-language culture. At this time Sibelius, whose native language as Swedish, began to learn Finnish and to become interested in Finnish folk poetry. He never was particularly comfortable in the language. He continued to set Swedish song texts throughout his career, for example, to write his letters in Swedish, and to listen to Swedish-language news broadcasts. Nevertheless, Finnish folklore fired him. 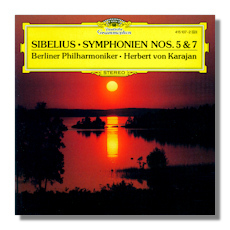 In 1889, having graduated from the Institute, Sibelius won a state grant to study music in Berlin. His professor deemed the young man's works incompetent and set him to studying strict counterpoint for the rest of his stay. 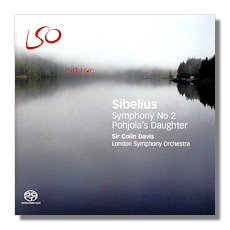 Sibelius pretty much stopped producing original work during this time. On the whole, Berlin proved a rather crushing disappointment. However, in 1890, with another state grant in his pocket, he traveled to Vienna, where he studied with Karl Goldmark and Robert Fuchs. Here, his musical horizons broadened. 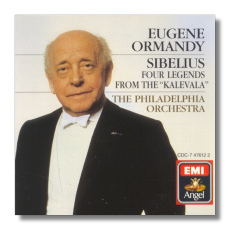 He fell under the spell of Bruckner and Wagner, leaving the Brahmsian classicism that had marked his music heretofore. He also began to read the Kalevala, the Finnish national epic. This was to provide him with a good deal of his artistic inspiration. He began his first major work, a huge choral symphony based on Finnish legends, Kullervo (1892) and also married Aino Järnefelt. One of his most powerful scores, the symphony shows Sibelius in the midst of throwing off Bruckner and Wagner and trying to find a personal language. Despite Kullervo's success, it doesn't satisfy him, and he withholds it from publication (it appeared, finally, in the Sixties). He seems to have sensed within himself two contradictory impulses: an attraction to "primitive," even "barbaric" subject matter and a rage for symphonic order. His search throughout the 1890s results finally in such works as En Saga, 4 Legends from The Kalevala (1897), Finlandia (1899), and culminating in the Symphony #1 (1899). The symphony marked the beginning of the composer's artistic maturity. What we tend to see are references to classical procedures while using basic material of a distinctly non-classical cast. Musical ideas seem to end jaggedly or "incompletely," which immediately sets a listener's expectation for the next idea. It's an ingenious reconciliation of his primitivism and his need for coherence. The early 1900s saw the Symphony #2 (1902) and the Violin Concerto (1904). 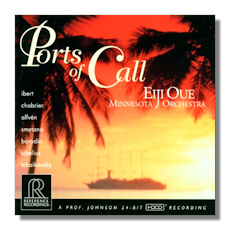 Around the middle of the decade, the music took a decided turn toward early Modernism with the tone poem Pohjola's Daughter (1906), the Symphony #3 (1907), Night Ride and Sunrise (1908), and the tightly-concentrated Symphony #4 (1911). 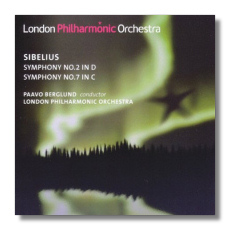 Sibelius becomes less dependent on traditional symphonic procedures and looked for his own. He himself compared his method to mosaic, arranging constituent pieces in different patterns until he found what he wanted. This method also fed a penchant for revision. Many of his major scores went through more than one version, some even after publication. Increasingly, however, the composer felt estranged from the new currents of modern music. He wasn't particularly sympathetic to even early Stravinsky, since he felt closest to the German symphonic tradition. Yet although he admired them, the fevered compositions of Schoenberg were alien to him as much in their temperament as in their dissolution of tonality. 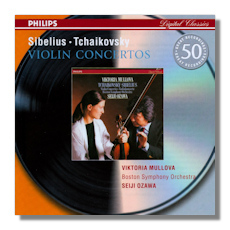 Nevertheless, Sibelius was first and foremost a Modern, but – like Vaughan Williams, for example – one who created his own brand. Conservative critics probably did him a disservice by elevating him to Protector of the Eternal Verities of Art, since it only made it easier for the avant-garde to demean the music. The late work exhibits a fascinating variety of mood and form. Major works include the concert aria Luonnotar (1913), the heroic Fifth Symphony (1915-1919), the Sixth (1923), the Seventh (1924), and Tapiola (1926). After this, Sibelius seemed to shut down creatively. There was a thirty-year "silence of Ainola" (Sibelius's home since 1904), although the silence was never complete. Minor work trickled out. He worked for decades on an eighth symphony but never completed it, finally burning his sketches sometime in the Forties. The composer's personality had been troubled for a long time. He began drinking heavily at the death of his mother. Much of the money he earned went to his binges, sometimes to the destitution of his family, despite a small stipend from the Finnish government. The hat was passed several times for him among the Finnish art-loving public. It seems that the anxieties of composition triggered such binges. After he destroyed his eighth, his wife, Aino, reported that he became much happier. I found it vulgar, self-indulgent, and provincial beyond all description. 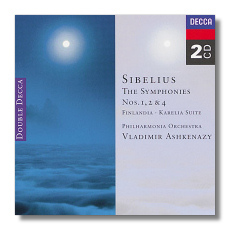 I realize there are sincere Sibelius lovers in the world, though I must say I've never met one among educated professional musicians.